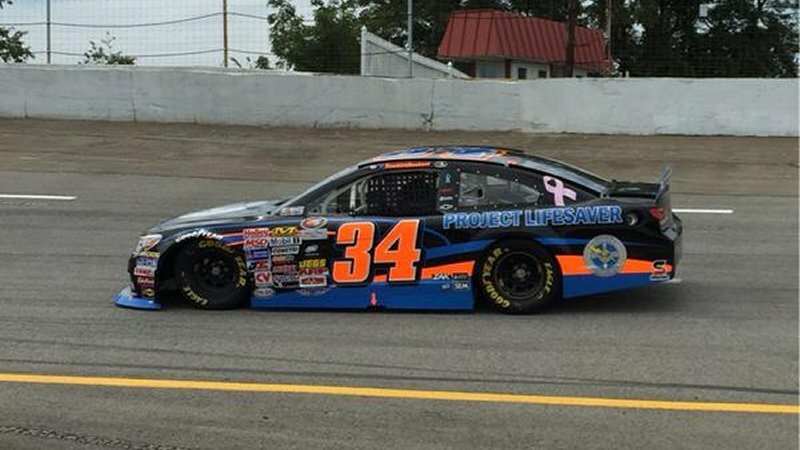 SMITHTON, Pa. (August 16, 2015) – HScott Motorsports with Justin Marks (HSMJM) entered the UPMC Health Plan 150 at Motordrome Speedway looking to bring home another victory in the NASCAR K&N Pro Series East (NKNPSE). The race was halted twice by the red flag as portions of the track were coming up from the racing surface. Heckert came into the UPMC Health Plan 150 at Motordrome Speedway coming off his fourth-career NKNPSE victory one week prior at Watkins Glen. Heckert qualified second for the event, but looked to conserve his stuff for the entire 150-lap race. By lap 55, Heckert ran in the 11th position and looked to begin his march forward through the field. Just prior to the red flag being displayed, Heckert moved into the top 10 and ran in the eighth position. When the race resumed, Heckert was able to take advantage of the restarts and move up to the fifth position. With 15 laps to go, Heckert was up to third position and looking for more. The 21-year-old held tough in the race’s closing laps, ultimately bringing home a fourth-place finish. Heckert sits second in the NKNPSE Driver Point Standings, 12 points out of the lead. The UPMC Health Plan 150 airs on NBCSN on Thursday, August 20 at 2:30 p.m. EDT. The NKNPSE heads to Virginia International Raceway in two weeks for the Biscuitville 125 on August 29.